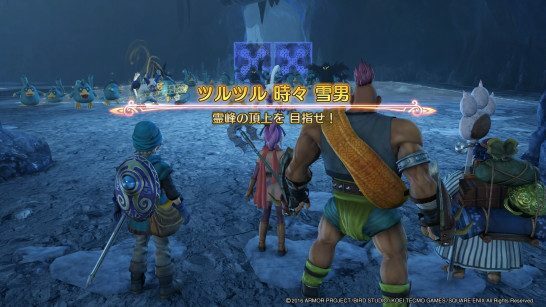 This page contains a full walkthrough of the Main Quest Sacred Mountain Regen in Dragon Quest Heroes 2, including items, enemies and strategy. Note that we will be updating this page when it comes out. 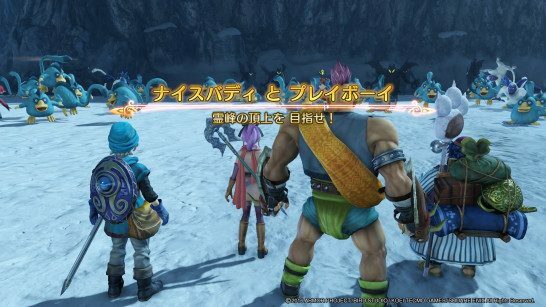 This page contains a walkthrough on the main quest “Sacred Mountain Regen” in Dragon Quest Heroes II. Most of the terms here are based on the Japanese version of the game, so some terms may not be translated clearly. We will be updating this when the English version of the game comes out in April 25, 2017. The area is full of slippery platforms. To manage navigating in the area, you can try to jump and change your direction. Once you’ve killed a certain number of monsters in the area, the guardian of the barrier will appear. It has a considerable amount of HP and will be accompanied by other enemies. Defeat the weaker enemies first before focusing on the guardian. When you’ve defeated the guardian, you may proceed onward. When you reach the area with the pitfall, you can easily kill enemies by sending them plumetting down below. You’ll need a skill that can push them off from afar. As you come up to the area with the three large snowballs, get behind them and push them towards the enemies to make quick work of them. After taking care of enemies, the another barrier guardian will appear. You’ll be able to proceed after you’ve defeated it. Once you’ve broken the barriers of ice, another guardian will appear, accompanied by Powie Yowie and Mandrake Major. The battle will be quite difficult, and it is recommended that you use High Tension attacks on the enemies. Once you’ve defeated the enemies, you’ll come to an area with a demon door. After taking out the Demon Door and the enemies, proceed to the next area (remember to loot the treasure chest nearby). You’ll meet Jessica and Angelo in this area where you’ll fight alongside them. Defeat the large number of enemies for the path to the next area to be available. You will meet a woman who asks you to collect 3 ice shrubs. Proceed and pay attention to the two ghosts which you need to defeat. As you come to the glittering item near the tree, Powie Yowie, Hell Gladiator and Gryphon will appear. If you managed to have any more monster coins with you, now is a good time to use them. Once you reach the four sparkling trees, pick up an ice shrub. Note that three Mandrake Majors will also appear. Once you’ve obtained 3 ice shrubs, hand it to the woman and you will be able to proceed further. Along the new path, prepare to engage some more Powie Yowie. Note the Powie Yowie that will be hurling giant snowballs at you, so avoid them as you proceed. You will then encounter Killer Machines. Thunder attacks are very effective against them, so having Terry along is good. Cesare’s lightning sword skills will also be useful against them. You should also make use of monster coins and High Tension attacks to make the fight more manageable. 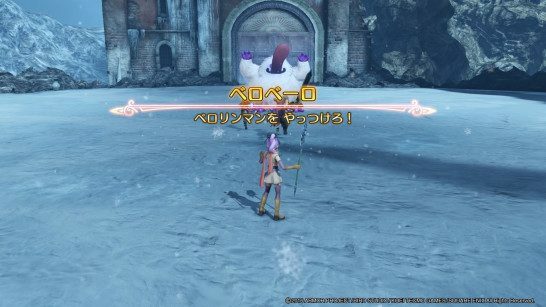 Note that the boss can split itself into four and attack. To know which is the real one, note the one hurling the big snowballs. The boss isn’t particularly hard once you keep away and dodge its ice attacks.